Members have been rostered for Officer of the Day (OOD) and Canteen Duties. If you find you cannot make your rostered day then it is up to you to switch days with another member or find volunteers who will cover for you. Assist Officer of the Day – The club has a full time Officer Of the Day for each weekend to run club racing, but will require a club member to assist in setting courses and helping with results. 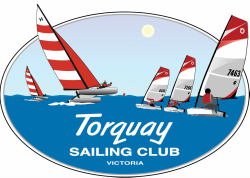 Catering Duty – You will be responsible for arranging basic food from ~11am – 1pm for Youth Sailing Series & prior to racing. Focus is on lunch (sausage sizzle on club bbq, pies….). Club has a barbecue and a PIE WARMER. BYO everything you need to make it happen (food, paper plates, sauce etc). Drinks will be supplied by committee. Club membership also means membership of Yachting Victoria which gives members personal accident insurance.